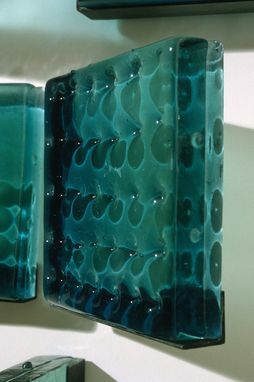 I made each component of this wall piece by ladling molten glass into molds and pressing circular shapes into the hot the surface of each panel. 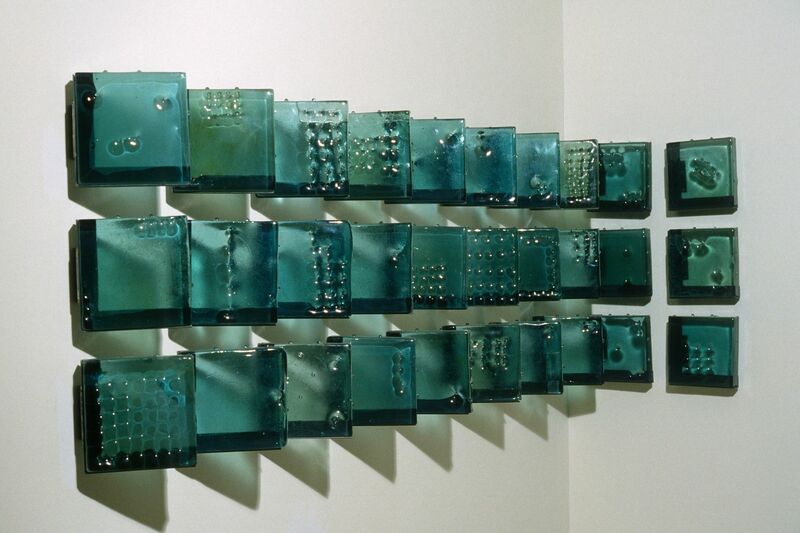 The panels are housed in hinged steel frames to allow for the piece to be altered by the viewer. 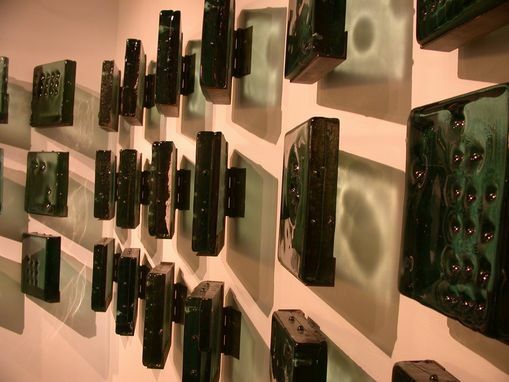 The relationship of light and glass is key to this piece as light passes through each panel and creates a tinted shadow on the wall behind with interesting details made by the circular impressions. Each panel is approximately 10" x 10" x 1". Since I work in modular form, customizing a project similar to this one is very practical. Custom choices include number, size, and color of each panel, and installation hardware.